Preparing an invoice can be one of the daunting tasks as there are several questions that arise in anyone’s mind while creating an invoice. Am I creating a legal invoice? 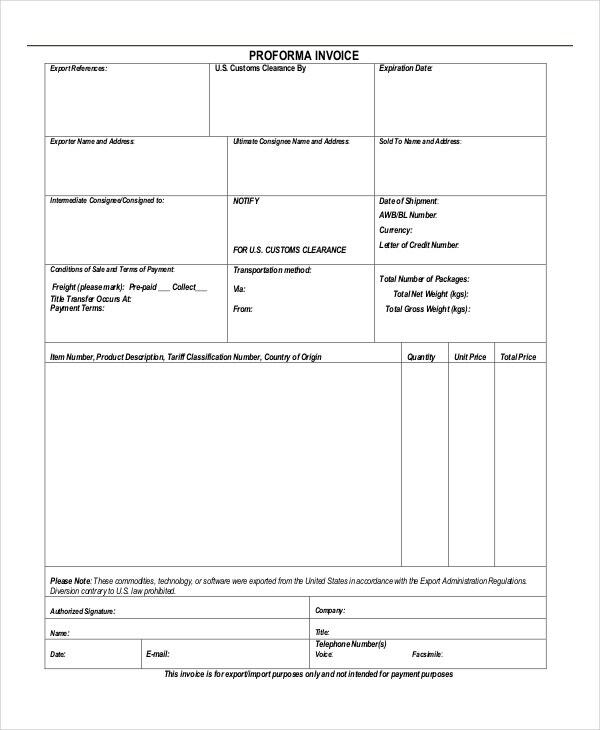 What should be the format of the invoice? Do I need to charge tax? Finding answers to all these questions can be time-consuming whereas a perfect option is to go with a suitable proforma invoice samples. Depending upon your invoice type needs, you can have numerous invoice formats to create an invoice quickly. 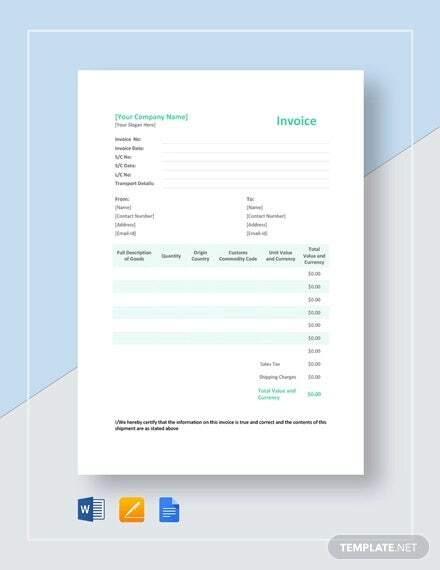 So check out below a few of the best invoice templates that you can utilize for enhanced convenience. 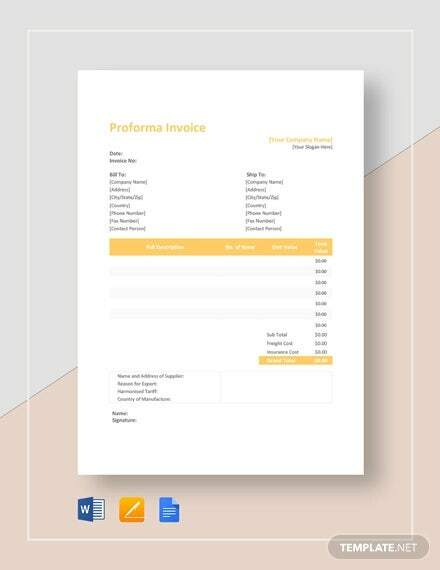 Have a look at this Word based proforma invoice template available online to help you create a comprehensive and detailed invoice without much effort. This Word format can be customized in seconds. 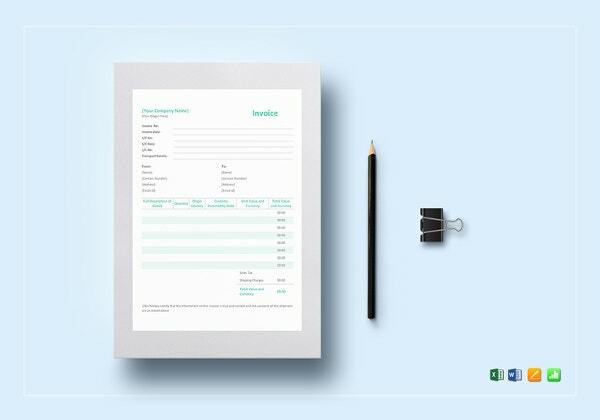 Here is another invoice template available for download in Excel format. 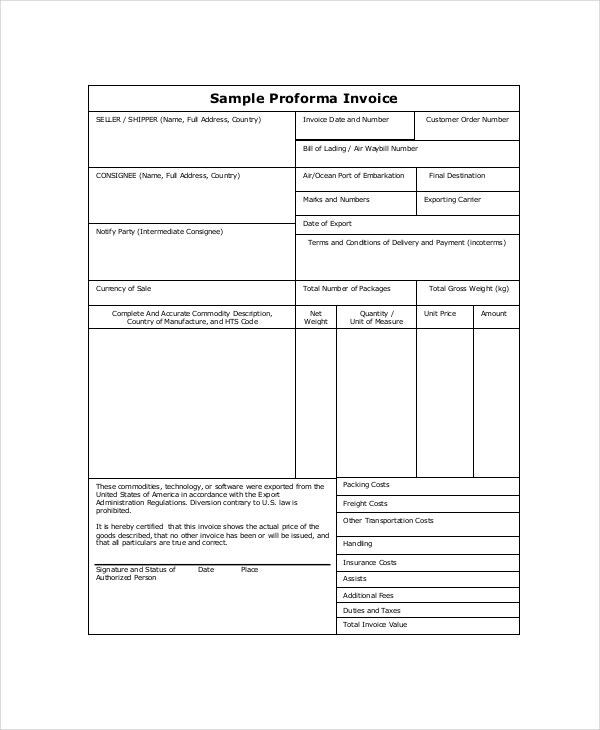 This sample consists of a wide variety of invoice elaboration columns that you can customize as per your own interest and requirements. 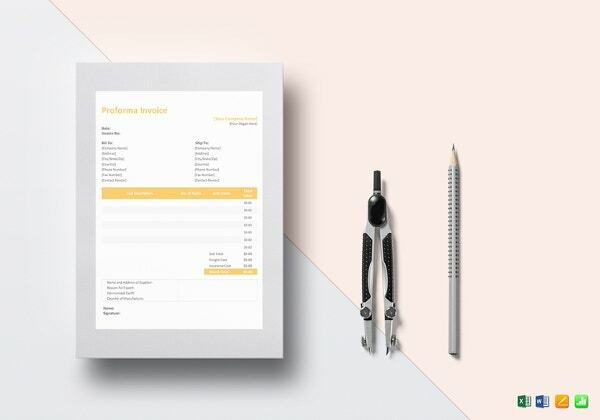 Looking for a professional corporate proforma invoice template? 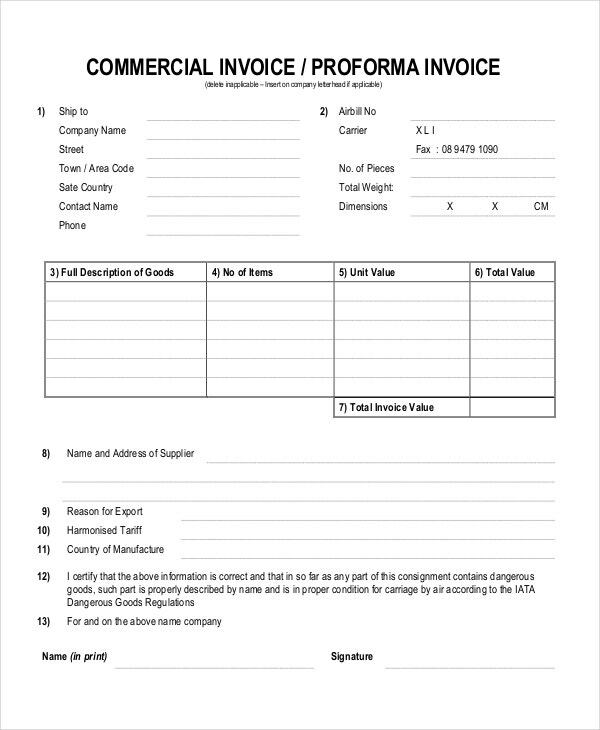 Here is a commercial proforma invoices format created for professionals to help them create comprehensive and detailed invoice file for their organization. 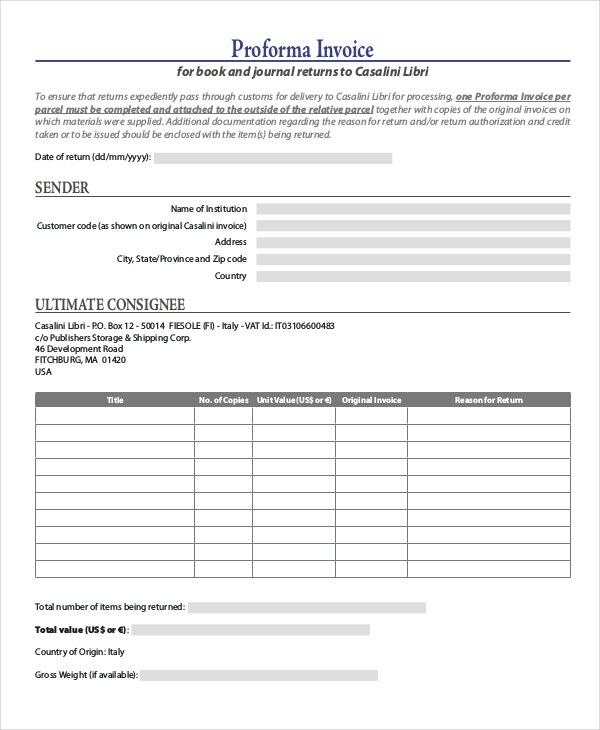 Journal proforma invoice is another great option for you if you are in the hunt of a suitable invoice template online. This format is available in PDF format and can be customized easily to suit your particular invoice creation needs. Looking to create invoices for your delivered services? 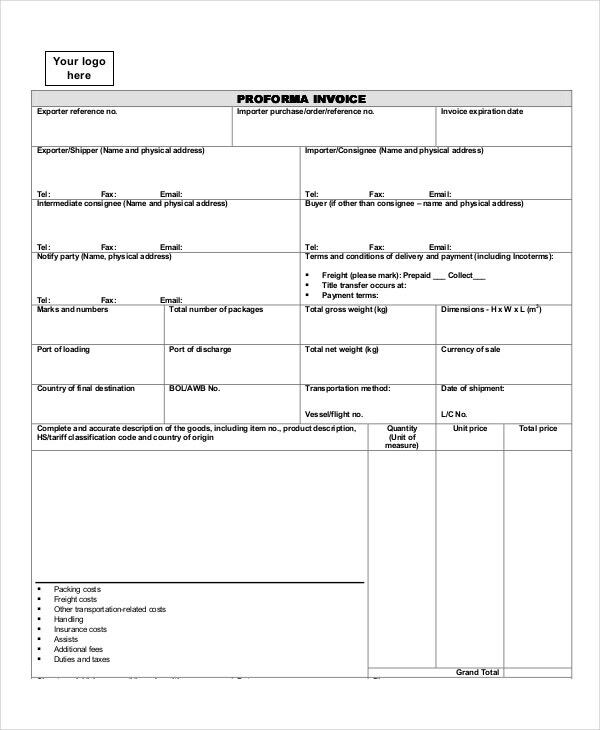 Get this detailed and professional proforma invoice format downloaded and customize to suit your particular needs. Available in PDF format. 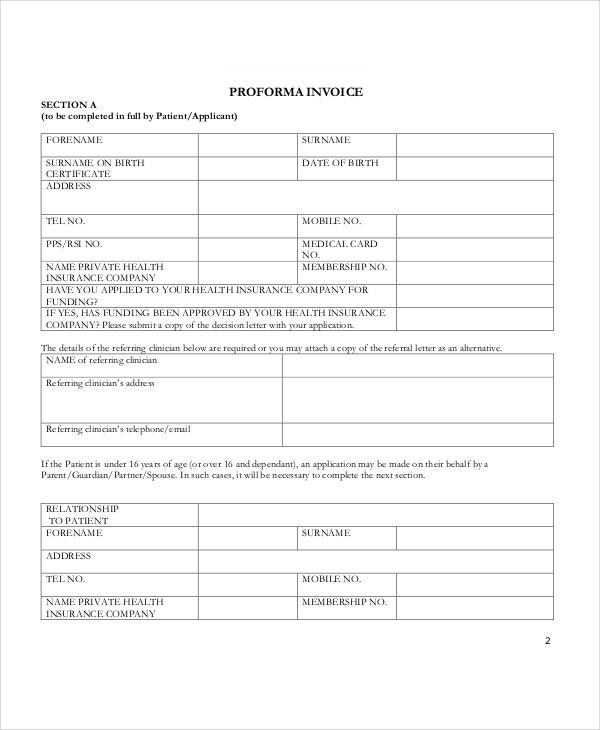 > What is a Proforma Invoice Used for? It is a known fact that invoicing is the most important and crucial activity for any business. Whether you are a sole owner of your business or one of a member of your organization, invoicing is required whenever there is a delivery of services or occurrence of monetary transactions. For requesting payments, invoices need to be created so that payee has detailed proof and explanation of every single service delivered. Various proforma invoices are utilized to create invoices in a detailed manner. 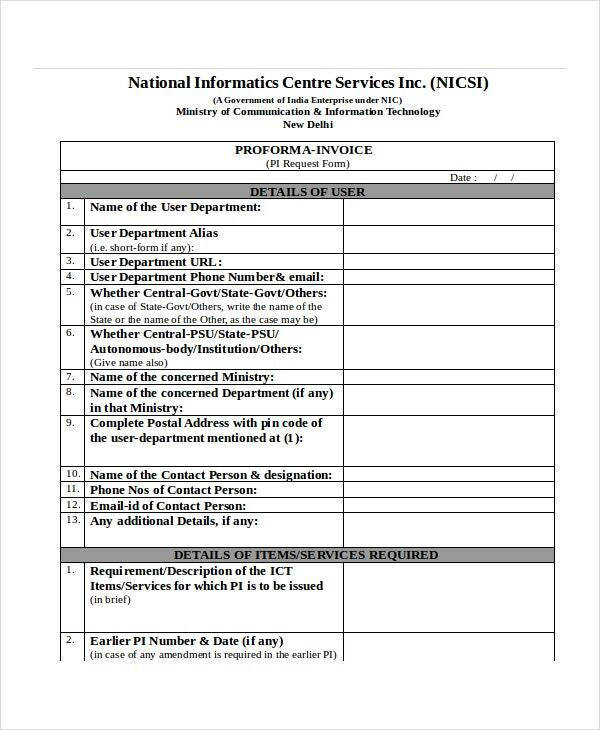 The proforma invoices are not only created to request payments solely but are also necessary as a proof of service delivery or work completed for a particular business, organization or person. An invoice format gives you a clean and clear way to represent your invoices comprehensively. 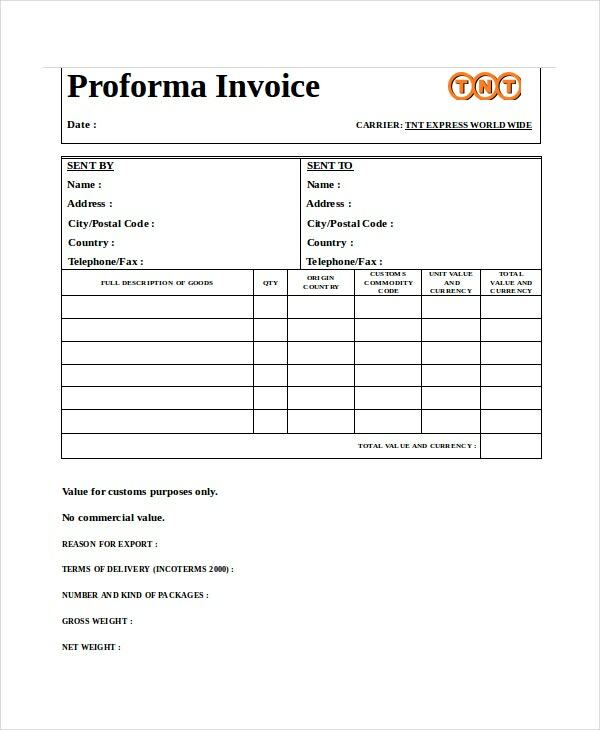 > What Should Proforma Invoice Include? The format of any invoice ranges from business to business and it is up to the person requesting the payment what he/she wants to include while requesting invoices. 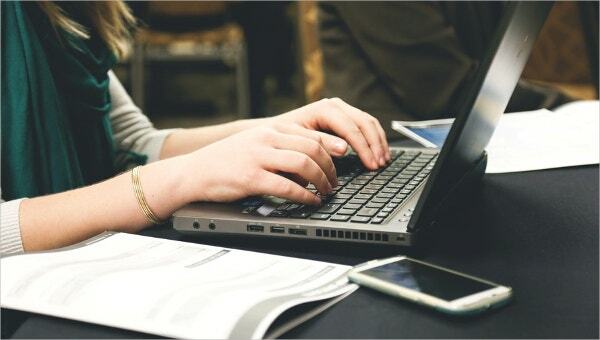 Although there is not set rule on what to include in a proforma invoice, there are certain basic elements that ought to be there in your invoice to make it sensible and relative. You can also see Standard Invoice Templates. 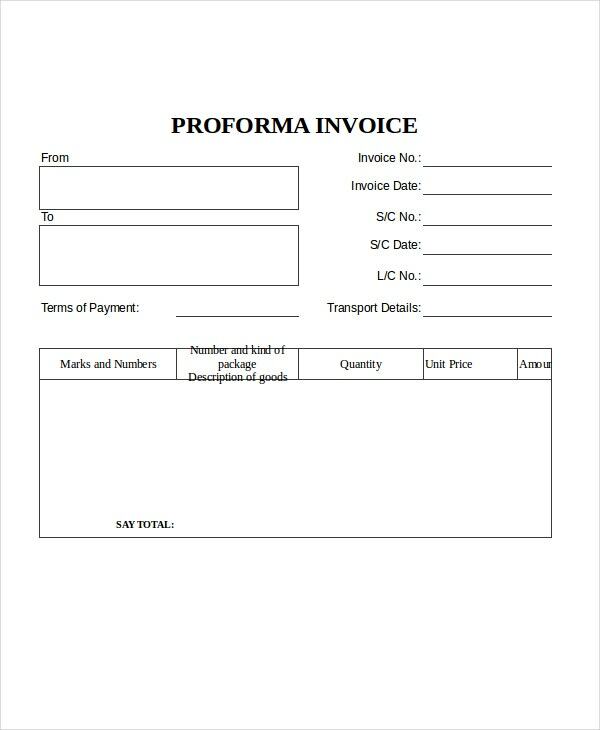 Make sure to include the word “invoice” at the top of the proforma invoice so that your client can have an idea of what he/she is looking at. 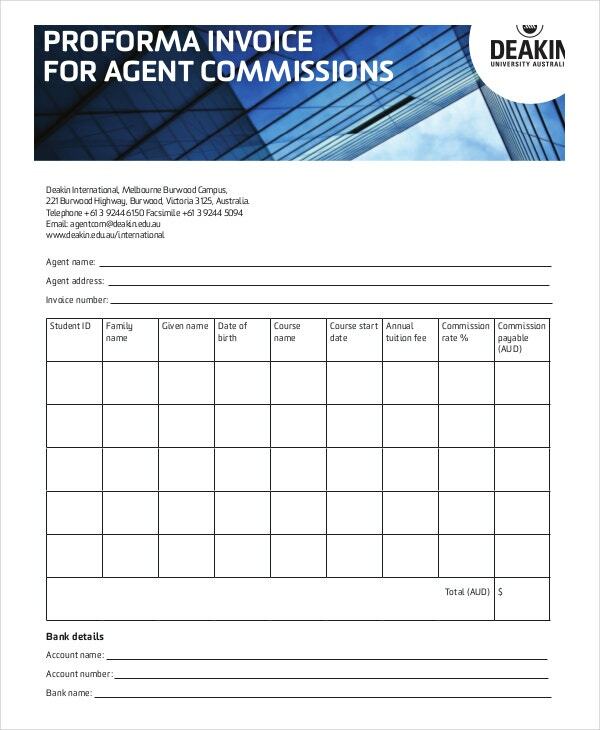 Include the name of the company, client or person who is expected to pay your fee. Include your name or the company’s name on the behalf of which you are sending invoices. Line up the products or services delivered along with their respective costs. Include the invoice number along with the date of issue of the invoice. Also include the total amount payable in the end. > How do Proforma Invoices Work? A proforma invoice is provided by a seller to a buyer for the shipped or to be shipped items or services. It describes all about the items shipped ranging from their quality, weight, value and similar important information. Sometimes deeds, wills, and samples are also imported with proforma invoices in advance. 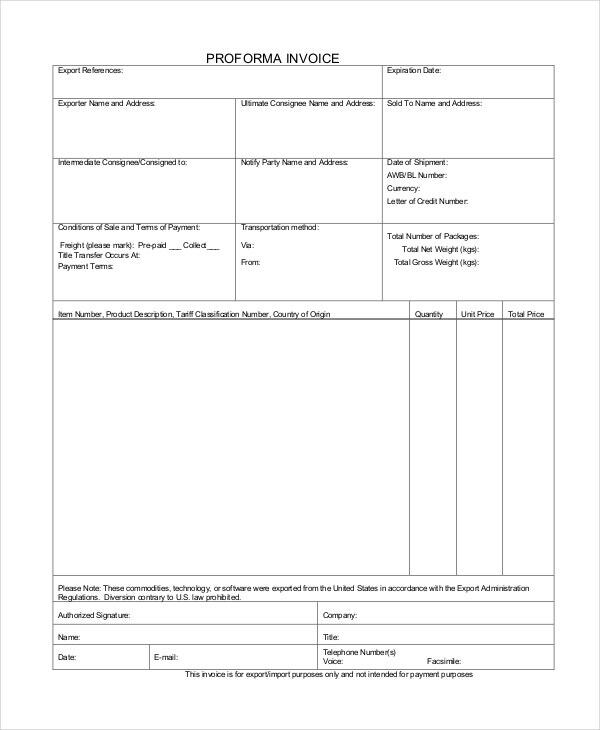 In the case of any monetary value associated with the items imported, a commercial invoice template is issued by the exporting company to help customs calculate duties. 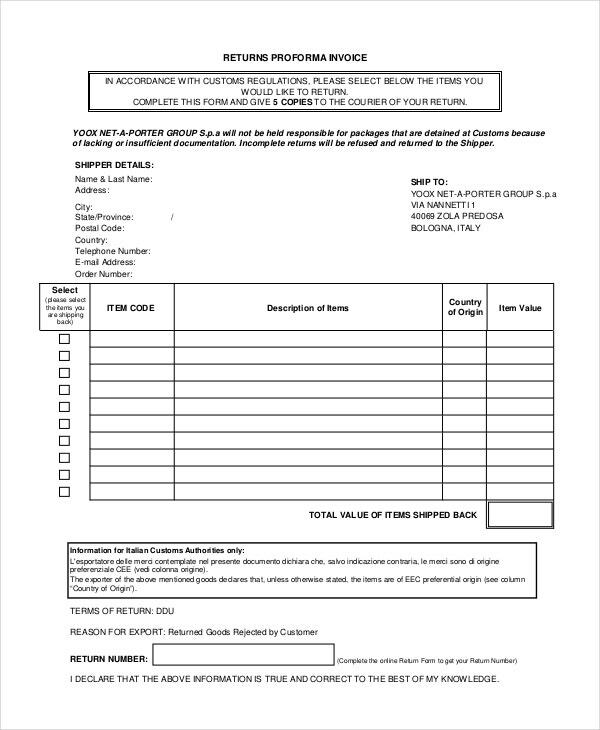 A Performa invoice always includes the description of the shipped merchandise along with monetary value to indicate future values of the items in case of commercial purchase. 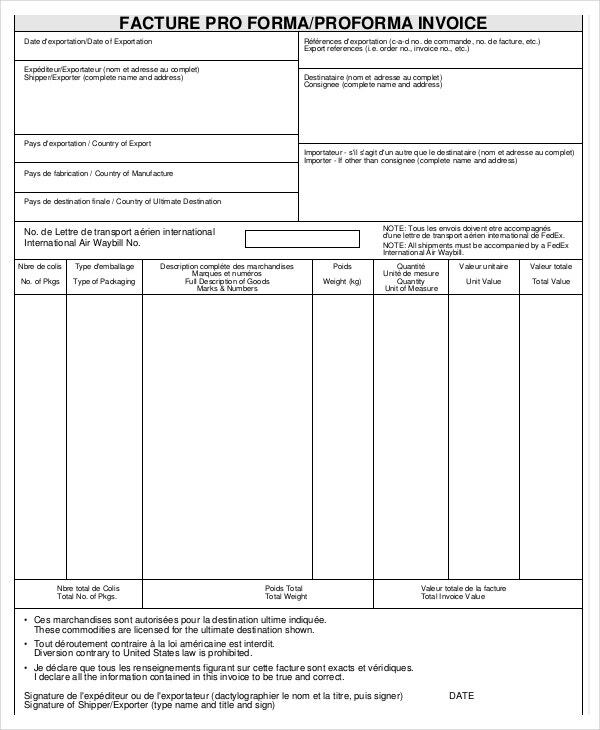 The documentation is used by customs to enable merchandise or documents to enter the country (in case of foreign shipment). 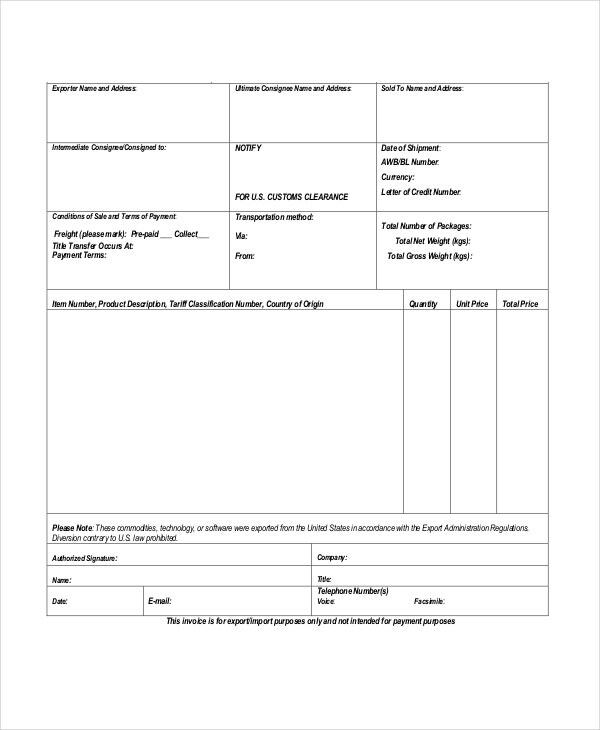 Another copy of a proforma invoice is supplied to the exporter as well. Creating invoices manually can be a time-consuming and hectic task. 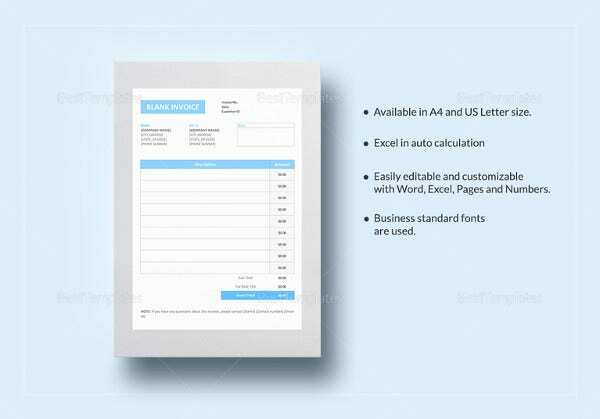 If you need to create invoices in your day to day activities then it is essential to utilize various convenient invoice templates for easier and quicker invoice creation. So check out all the above-listed template options and get the best one downloaded for you.